Greetings friends of Sarah Vee! 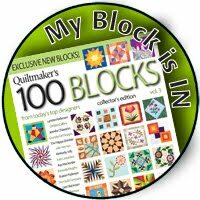 I'm Kay Mackenzie, a quilter and designer in Santa Cruz, California. 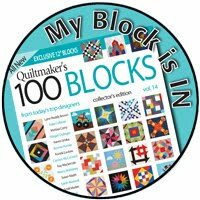 Sarah and I both have blocks in Volume 4 of Quiltmaker's 100 Blocks. Not only that, we've discovered that they're right next to each other on the cover! How fun is that? 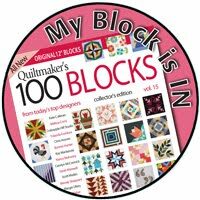 Sarah told me that she's doing a series on sashing options for joining blocks together, and asked me if I would like to do one on appliqué blocks. I thought I would show two simple ideas that lend a little bit more interest than just setting blocks together plain. Lots of classic appliqué quilts have no sashing and are simply stunning. If you'd like to add just a little touch to the setting, here are a couple of things I've done. In the sampler quilt "Shall I Pour?" 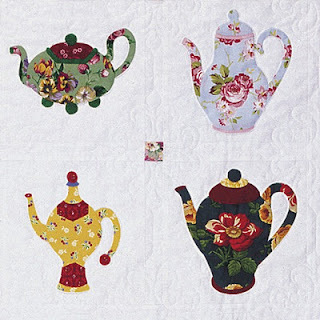 from my book, Teapots to Appliqué, I used floating squares. 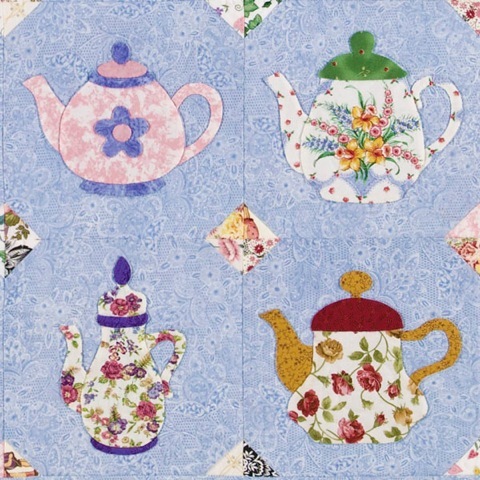 The sashing strips are the same fabric as the background squares, and the cornerstones are squares of the print fabrics used for the teapots. 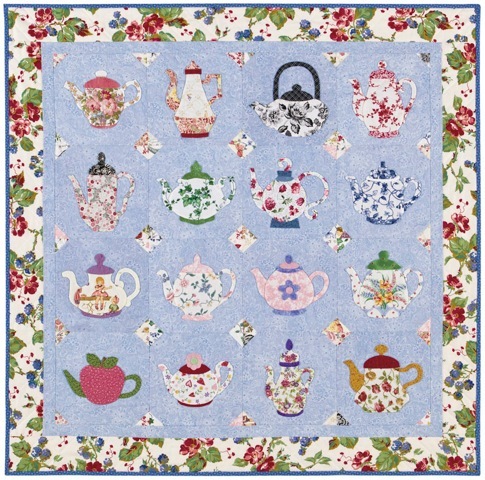 This design puts little touches of harmonious color in and amongst the blocks without overwhelming them. In "A Little More Tea" from Teapots 2 to Appliqué, I used the "sew and flip" method, also called "snowball corners," to add scrappy triangles to the corners of each block. 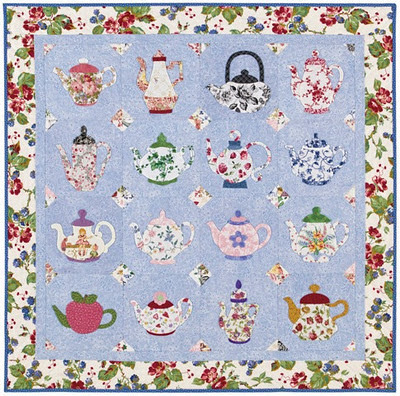 When the blocks are sewn together, the triangles form quarter-square diamonds of unmatched prints, creating a mosaic or picassiette effect. 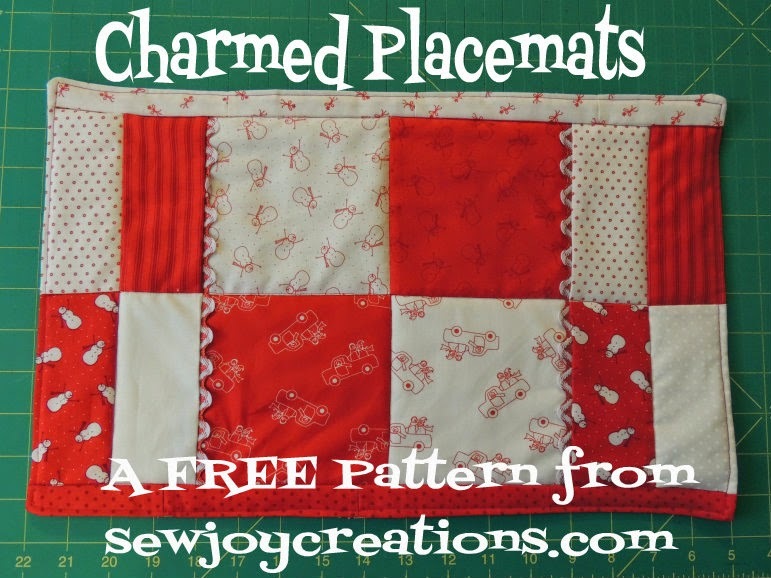 Again, a way to add interest without taking away from the appliqué in the blocks themselves. 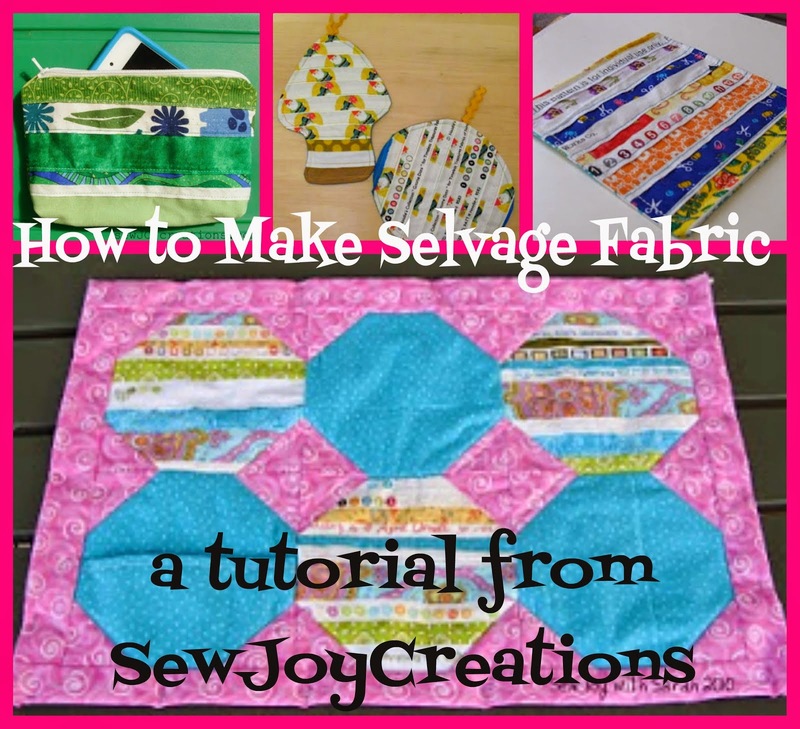 I hope these simple ideas help spark your thoughts about settings! 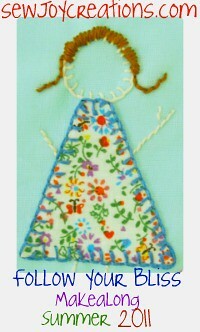 Sarah here - Thanks so much, Kay, for your great applique setting ideas. 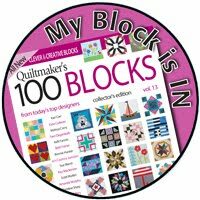 Make sure you check out Kay's blog today as she is featuring her 100 Quiltmaker block today - which means another chance to win a copy of the magazine! 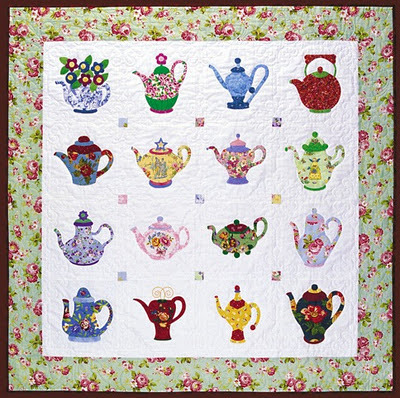 This is the last day of the tour so you might also want to check the Quilty Pleasures blog to make sure you hit all the designers' blogs before the end of the giveaways. 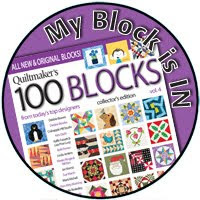 And you still have time for my 100 Block giveaway if you leave a comment here before midnight tonight. 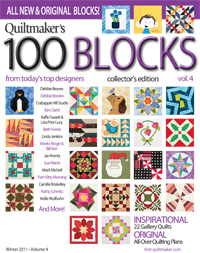 Didn't have time to read this the other day, but Kay's quilts and sashing suggestions are wonderful!! 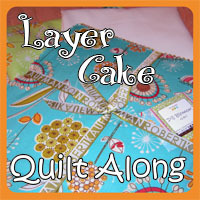 Lends itself for some nice quilting in those areas too!